Special discount for event managers who handle set up, hospitality and A/V. We are pleased to announce that Texas watercolorist, Joyce Hicks, AWS, will be giving a special presentation for the Baltimore Watercolor Society on the evening of Wednesday, June 8, 2016 from 7:00 pm to 9:00 pm at the Hawthorn Center in Columbia, Maryland. 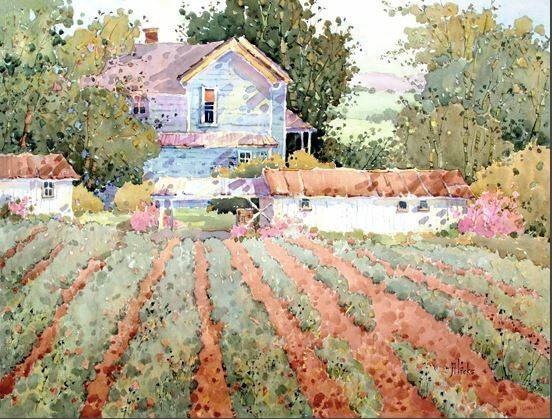 Joyce will discuss her painting journey and process, demonstrate painting techniques and answer questions from those attending about her work in watercolor painting. My purpose is to uplift the human spirit and my hope is that my paintings will inspire others to join me as I continue my artistic journey. I enjoy entering competitions, teaching workshops and presenting painting demonstrations. I’m a member of numerous societies including Signature Member Status in the American Watercolor Society and past President of the Central Texas Watercolor Society.